Born in Glasgow in 1868, Charles Rennie Mackintosh is Scotland's most famous artist, architect and designer. He went on to become world-renowned for his distinct Art Noveau style which includes his signature floral decorative motifs. Mackintosh, the fourth of eleven children, began his career in 1884 at the age of 16, serving an apprenticeship with a local architect. He attended evening classes at Glasgow School of Art from 1883 until 1894. During this time he met his future wife Margaret McDonald a fellow student with whom he would work closely on interior design. They married in 1900. Alongside Margaret and a close group of friends, Mackintosh brought 'The Glasgow Style' to life in many buildings and furniture, which you can see, around the city to this day. Taking inspiration from Scottish traditions and mixing with Japanese influence, the Art Noveau style is truly stunning. Emerging as one of the most influential people to emerge from Scotland in the 1900's Mackintosh was and still remains an immensely popular talent. 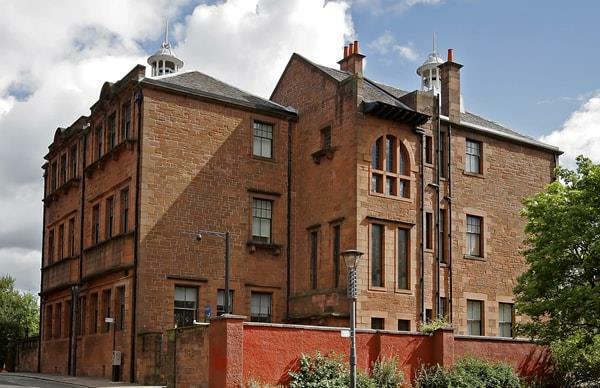 There are many Charles Rennie Mackintosh sites that you can visit while in Glasgow, and that is not including the many private houses that he also designed. You can take a look at the furniture designed by him and his wife, the amazing architecture and the stunning paintings, which he indulged more in during later years. Had it not been for an early competition that Mackintosh entered we may never have had the opportunity to see such a genius at work, the winning prize was to redesign a building in Glasgow, The Glasgow School of Art to be exact, where Mackintosh, a former pupil, made a truly visionary mark. The GSA was judged the best building of the past 175 years in a RIBA nationwide poll in 2009 and the outpouring of grief following the school’s damaging fire in 2014 is a sign that the surge in his popularity continues. Fortunately much of the building was saved from destruction. 167 Renfrew Street, Glasgow, G3 6RQ. 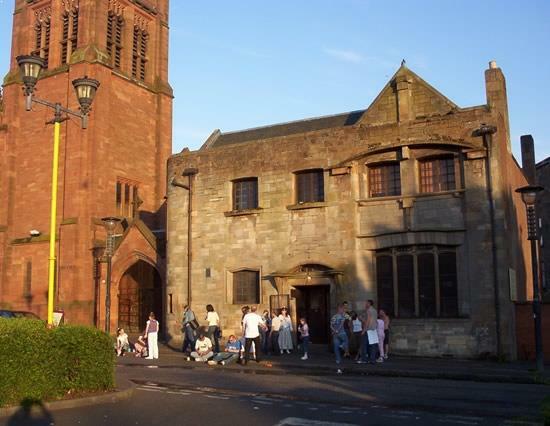 Undoubtedly one of Glasgow’s much-loved museums, The Scotland Street Museum unveils the history of Scottish education housed in a genuine school environment. 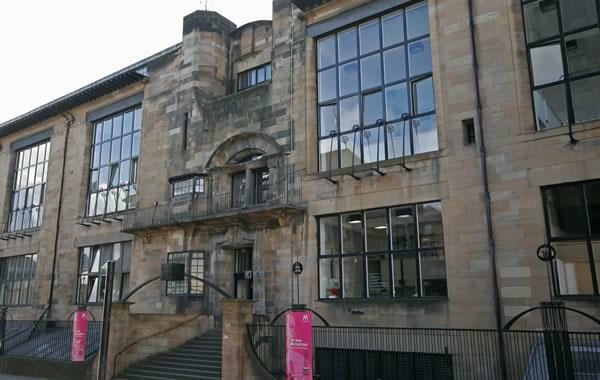 Charles Rennie Mackintosh designed this spectacularly grand showpiece between 1903 and 1906, an essential cultural attraction for Mackintosh aficionados and those interested in the history of architecture and design. 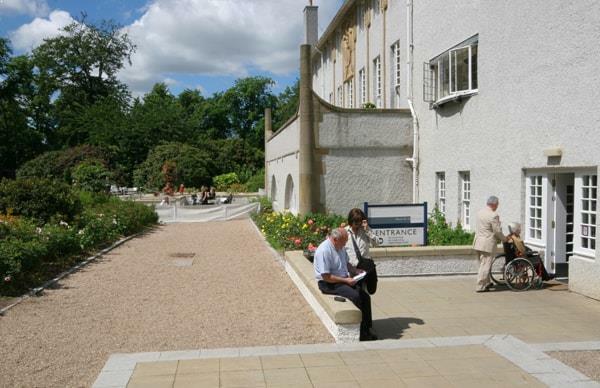 Situated in the beautiful gounds of Bellahouston Park in Glasgow’s south side, The House for an Art Lover is one of Glasgow’s most unique art galleries and cultural attractions, housing one of the most enchanting pieces of recent research on Rennie Mackintosh. 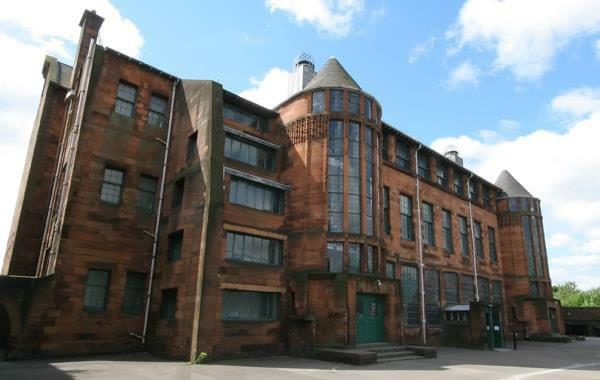 Located in the Townhead district of Glasgow, Martyr's School is one of the earliest buildings designed by Charles Rennie Mackintosh. Designed in 1895 when Mackintosh was a junior assistant with Honeyman and Keppie, it opened two years later at a formal opening ceremony. 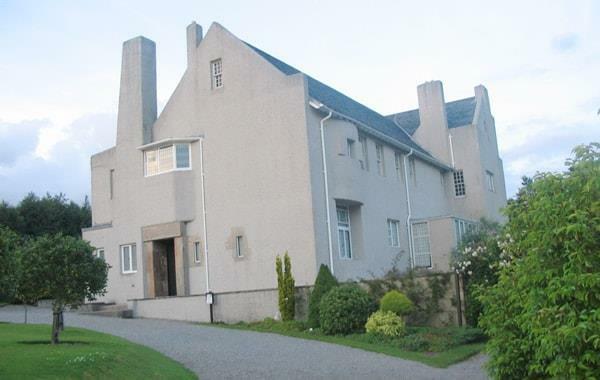 Situated in upper Helensburgh, in the graceful Victorian town of Helensburgh, The Hill House is renowned as the most exquisite domestic masterpiece of Charles Rennie Mackintosh. This iconic house was commissioned in 1902 by wealthy Glasgow publisher Walter Blackie and completed in 1904. Hill House’s rooms have a timeless quality, appearing much more contemporaray than their 1904 design would suggest. 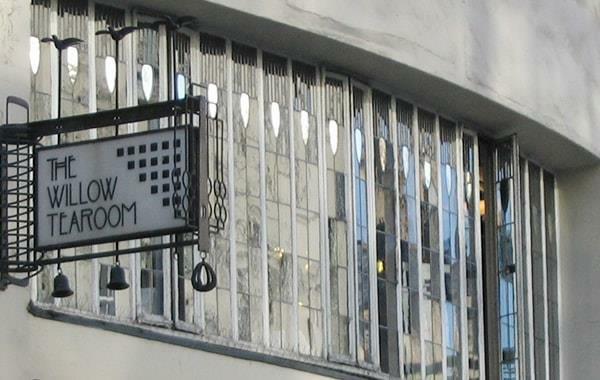 The Willow Tea Rooms in Sauchiehall Street is a major attraction for both locals and overseas visitors. The only eatery where Rennie Mackintosh took full command over every aspect of its architectural design, interior and exterior. The Room De Luxe, has the original leaded glass doors, windows and mirrors on show today. Enjoy a fantastic selection of traditional food and drink while appreciating the jewel in the crown of one of Glasgow’s most famous architects. 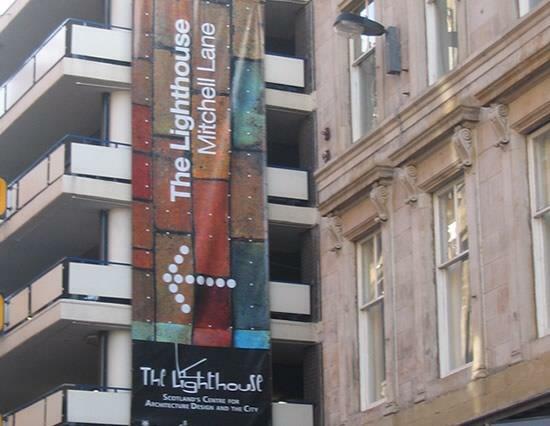 11 Mitchell Lane, Glasgow, G1 3NU. Offering an inspiring look at architecture and design through the years. Spread out over six floors you will experience a serious of exhibits and programs detailing everything you need to know. You can also see the stunning Mackintosh Tower and Mackintosh Tower; which are both award-winning pieces. You can also make the most of the stylish rooftop café and bar. Queens Cross Church aptly labelled as ‘The Mackintosh Church’ in the Maryhill area of Glasgow was commissioned in 1896 as St Mathew’s Church by the Free Church of Scotland. 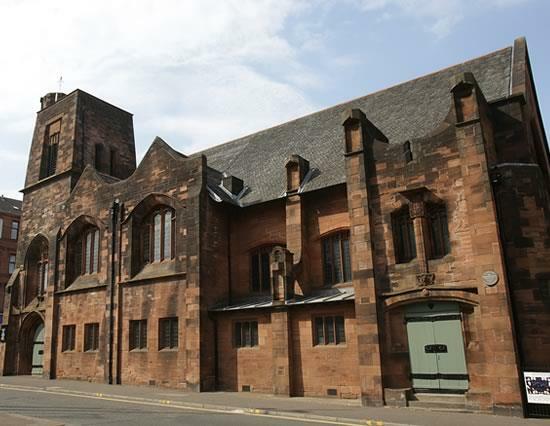 Designed by Honeyman & Keppie’s most renowned Architect, Charles Rennie Mackintosh, this stunningly beautiful place of worship opened for services on 10 September 1899.